You may be surprised to learn that many readers of www.ilovebrokenhill.com come from the Ukraine. (USA and Australia make up the largest reader groups). 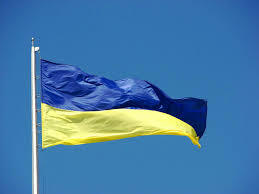 Perhaps some of you are ex Broken Hill residents or maybe you are Broken Hill travellers visiting the Ukraine. Whatever the case, I would just like to say hello (привіт) to readers from the Ukraine. (I hope I've got that translation right - see below). The variety of suggestions surprised me (I haven't put them all in). Apparently there are 18 languages in the Ukraine according to Wikipedia so this could explain the many options. Feel free to write a comment on your Ukrainian perspective of Broken Hill.